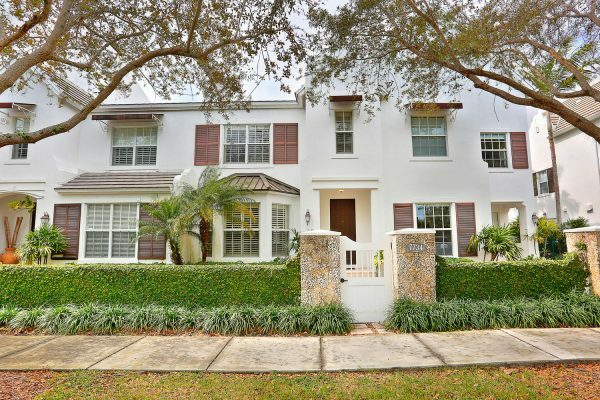 Stunning and rarely available townhouse located in Pine Manor. This Dutch Caribbean architecture gated community is located on a beautiful tree-lined street in High Pines. “The Aruba” model boasts 3 bedrooms, 2.5 bathrooms, rooftop deck, covered terrace, carport which accommodates up to 4 cars and a storage. Downstairs provides an open floorplan for the social areas which includes the half bathroom for guests and the laundry room. 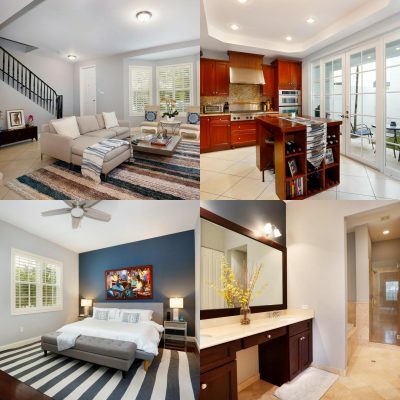 Interior finishes include 10′ ceilings, plantation shutters and a fully remodeled kitchen with a gas cook-top. As you walk to the second floor, you will encounter gorgeous hardwood floors throughout. The 3 bedrooms and 2 full bathrooms are perfectly situated. The generous size master bedroom provides spacious closets, double sink vanity, jacuzzi tub and a shower. Exterior finishes include hurricane impact windows and a brand new roof installed in 2018. The community offers nighttime security, gated entryway and a pool. High Pines is centrally located and within walking distance to many restaurants, movies and shops. Having guests over? Don’t worry! There are 12 gated guest parking spots available. Attention families! Sunset Elementary School is in this District.